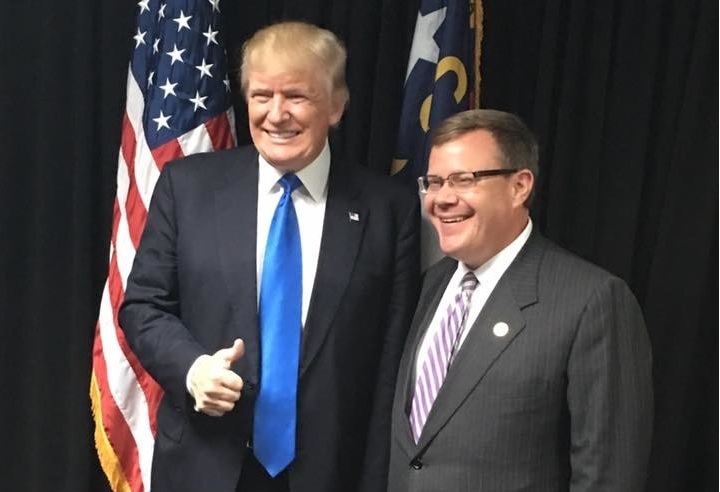 Raleigh, N.C. – President Donald J. Trump called state House Speaker Tim Moore (R-Cleveland) on Monday evening following Moore’s invitation for the president to deliver his second State of the Union address in the North Carolina House of Representatives last week. President Trump called Moore just after 8 p.m. on Monday evening after the Speaker’s office received word the commander-in-chief would be in touch earlier that afternoon. The two spoke for about ten minutes. Moore said President Trump offered his assistance to the state and said he looked forward to visiting North Carolina soon. The Republican National Convention will be held in Charlotte, N.C., in August 2020. “The president and I share the same priorities of building a stronger economy with commonsense policies that put the needs of North Carolinians and the nation first,” Moore said. President Trump thanked Speaker Moore for the invitation to deliver his State of the Union speech in North Carolina and said his team was still determining when the speech would take place. Moore said he thought moving forward with the annual address in a new location would help leaders in Washington D.C. resolve the budget impasse. “The State of the Union is a tradition that represents the best of our democratic values and gives leaders on both sides of the aisle an opportunity to speak to the American people,” Moore said.